Endpoint security is of prime importance today; we see lots of endpoint devices getting connected to enterprise networks, thereby increasing the chances of hacks and data breaches. Thus, it’s important that enterprises choose the best endpoint protection software for the protection of their data as well as their customers’ personal data. Cloud-based management is a key feature. This provisions in just over a minute. Offers unified management of all OSs, especially Android, iOS and Windows-enabled devices. Also among the key features are fully integrated device management, application management and device security. 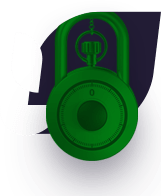 The product comes with over-the-air enrollment and anti-theft features plus automated containerization, Comodo VirusScope behavior and action analysis. A major highlight is the static, dynamic and human analyst (SLA) based analysis with Comodo Valkyrie. It offers RMM (Remote monitoring and management), with full device takeover. Patch management and enterprise-wide visibility of all running unknown contained processes or executables also are key features. The software offers enterprise-wide, on-demand scanning for malware plus host firewall, HIPS, Web URL filtering, file reputation, jailing protection, certificate-based whitelisting, persistent VPN and BYOD protection. 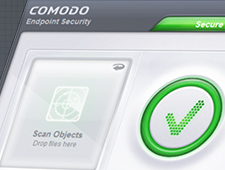 The Comodo Advanced Endpoint Protection solution is built upon a Default Deny Platform. This allows known good files, blocks all known bad files and lets all unknown files run in a patent-pending container. Thus it provides customers protection against both known and unknown threats. 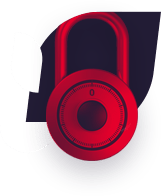 Comodo’s Endpoint Protection software is, in fact, a unification of Comodo’s advanced endpoint security solution and enterprise class device management (which includes Comodo Endpoint Security Manager and Comodo Device Manager and the File Analysis Platform Valkyrie). The program implements dual layers of Specialized Threat Analysis and Protection (STAP), both locally and globally. On the one hand, Comodo VirusScope performs behavioral and action-based analysis locally, while on the other hand the cloud-enabled Valkyrie provides sandboxed static, dynamic and even expert human analysis. Thus the Default Deny Platform and verdict-driven dual STAP layers together ensure that unknown processes and executables stay in containment and doesn’t cause any kind of damage.